Buffalo Bills & Buffalo Sabres. When discussing meal prep, you usually hear about it being planned over the course of a week at a time, and typically with all three meals of the day being accounted for. 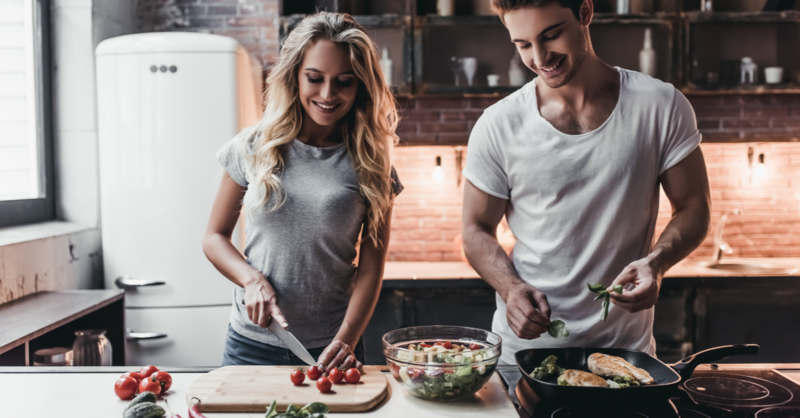 With occasional healthy snacks being incorporated as well, meal prepping and planning can be a successful way to keep yourself on track for your health and wellness goals. What if you fast intermittently though? Let’s figure out what intermittent fasting is, and then we can break down how to meal prep appropriately for it. Essentially, intermittent fasting is skipping certain meals of the day (on purpose), or eating only during certain time frames of the day. This means of consumption would not be considered a diet per say, but more so a way of life. Most fasting methods involve not eating for around 16 hours of the day, and others fast for up to 24 hours during the course of a week. Whichever the case may be, intermittent fasting is a growing health trend, and planning your intermittent fasting meals is key for success. For example, it could be considered a fast if you eat dinner one evening, then wake up the next morning, run the kids to school, get to work, and don’t eat again until lunchtime – that is fasting, seeing as how it's probably been more than 16 hours since your last meal. To be successful, you need to determine what meal you’re going to fast with – if you know you want to fast during breakfast, you want to prepare hearty, healthy, and nutrient dense meals that will sustain you during both dinner and lunchtime. And since there will be one less meal to prep for, it’ll take out some of the stress of preparing ahead of time. Keep your focus on lean proteins, complex carbohydrates, and healthy fats, and you can pick and choose your fasting timeframes accordingly. You might find that this method helps to cut cravings, as well as help with weight loss. During the time that you are fasting, you can continue to drink water, coffee, tea, and other beverages (that don’t contain tons of sugar or calories), and that can help to curb some hunger as well and help keep you full. While doing intermittent fasting, be aware that many studies have shown this to be effective for weight loss – but may also affect your muscle as well. More studies need to be done, but if you aren’t combining your healthy eating with exercise, then some of your weight loss might also be coming from a loss of lean mass as well. Again, more studies need to be done, but ensure that you’re getting movement in during the day to help prevent muscle loss along with fat loss during your intermittent fasting. Using intermittent fasting can be beneficial for weight loss, curbing hunger, and encouraging healthier eating habits, but if you’re thinking of starting, just begin slowly so that you don’t decrease a lot of calories all at once. Aim to get enough protein in your diet to help support your muscles and keep you full, and you’ll notice a difference in no time! Don’t Forget! Eat Rite Foods offers high- quality meals from new rotating menus every week that consist of fresh never frozen, made from scratch meals that you get to pick and choose from to create a package that suits your needs! Become a member and start eating right!